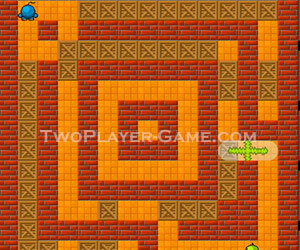 Fire and Bombs, 2 player games, Play Fire and Bombs Game at twoplayer-game.com. Aremix on the Bomberman gameplay. Place bombs and try to blow up your opponent. Spacebar - Place a Bomb. Caps Lock - Place a Bomb.